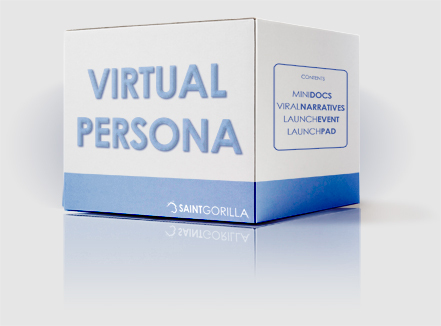 The Saint Gorilla Virtual Persona is for the individual who is looking to propel their personal brand into the social web space. We guide our client’s through personal branding exercises, produce MiniDocs, ViralNarratives, and plan a LaunchEvent. The LaunchPad for Virtual Persona includes content/geo-based social network integration, topical influence branding, and web design.